The material turns darker from absorbing cutting oil during slabbing. Commercial lapidaries favor new mine finds and exotic or rare materials, and we create our jewelry pieces or carvings with the anticipation that the market will also enjoy and appreciate the wisdom of our selections. 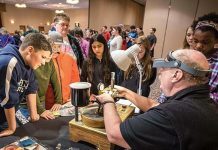 However, every now and then, there is a resurgence of an old-stock material that has been obscured by the current trends, and customers demand that you increase your production of works using these materials. This has been the case for my customers and Turkish purple jade. Polishing the stones with cerium oxide on pads and by hand rubbing them with 3M diamond paper is the approach used here. in my studio. I have enjoyed the folklore, the carving process, and the delight my customers take in both holding and purchasing this stone. Turkish purple jade, also known as “turkiyenite”, has been used as a gemstone since the 1980s, when it was exported by the tons to commercial markets. It is only found in one place in the world, the Bursa region of Turkey, which is known for quartz, diaspore, epidote, orthoclase, and other rocks and minerals. There is some difference of opinion as to whether it is a jade or a rock, given that the concentration of jadeite in Turkish purple jade is measured between 40% and 60%. Since lavender/purple jade is among the rarest in the world, and Turkish purple jade does not have the luminescence or jadeite concentration of traditional gemstone jades. Traditional gemstone jades are relatively pure jadeite or nephrite with trace minerals supplying the color, whereas test have established that Turkish purple jade contains 40% to 60% jadeite, and it is unknown what combination of minerals gives this material its color. I always inform my customers of the differences between these two very different gemstones. According to the article “Photoluminescence of Turkish purple jade” in the Journal of Luminescence (Vol. 132, 2012), Murat Hatipo'glu and Yasemin Basevirgen identify the source of the material as being “in the Harmanc'k–Bursa region of the western Anatolia (Turkey), an extensive contact metamorphic aureole at the border between the Late Mesozoic coherent metaclastic rocks of blueschist facies and the Early Senozoic intrusive granodiorite stock hosts”. They describe it as “an interesting and unique gem material with a mineral assemblage consisting mainly of jadeite, quartz, orthoclase, epidote, chloritoid, and phlogopite”. 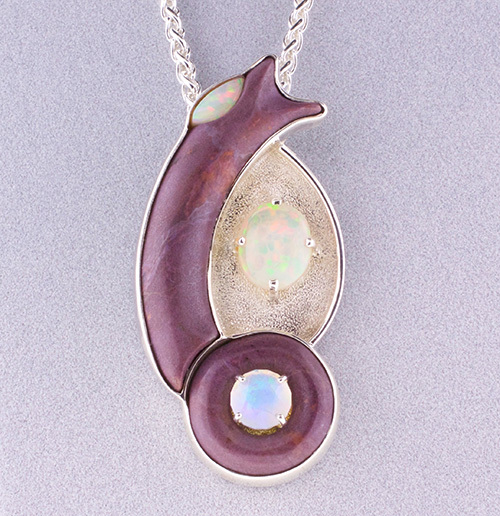 A wire-wrap setting sets off the bold specks of orange in the rich purple base color. Other tests, they say, reveal that the silica-rich, calc-alkaline metamorphic aureole has high ratios of rock-building elements like Al, Ca, Na, K, P, Sr and B, and trace elements like Fe, Cr, Mn, Be, Cu, Ga, La, Ni, Pb, and Zn. Although Turkish purple jade will eventually become as scarce—and as costly—as lavender jadeite, it is our responsibility as lapidary artists and gemstone dealers to properly distinguish between these two gemstones. I have heard several rumors about Turkish purple jade over the years. 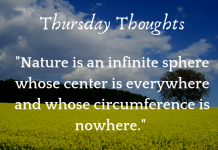 One is that the material has been mined out for some time. It was said to be a small deposit of surface material, with no stones ever found below several feet. Additional money was spent to find more, but fewer stones were found, until none could be found at all. 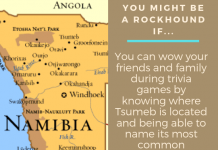 The location is also mined for marble and precious metals, so it has been thoroughly explored without any additional purple jade being found. Another rumor is that it was used as a significant material to decorate parts of the first Ottoman Empire palace. In the book Jade, by Consultant Author Roger Keverne (Amness Publishing Ltd., 1991), Figures 12 and 13 in the chapter “The Early Phase in Ottoman History” (p. 280) show jade vessels that are described as “green-and-white jade”, but to my eye look very similar to the Turkish purple jade that I carve today. This makes me surmise that Turkish purple jade was mined and used much earlier than is currently thought, and this should be considered when looking at Turkish antiquities and artifacts. I have also heard that Turkish purple jade is considered by the government of Turkey to be a “National Heritage Stone”. I was first introduced to Turkish purple jade by a gemstone-rough seller who also happened to be a miner and importer of fabulous stones from Turkey. 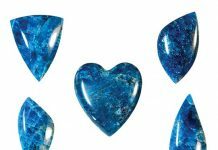 He suggested that I try working with the material and sold me a piece with my usual order of royal blue chalcedony and opalized wood. I found it interesting and attractive, but my customers found it compulsively desirable. My cabochon customers were more than ready to pay extra for this beautiful and mysterious material, and it was hard to keep finished stones in stock. Even as I write this, I remind myself that I need to slab and cab some more Turkish purple jade for my cabochon inventory. The rough and finished gemstone is both visually alluring and seductive in the hand. Turkish purple jade plays well with other stones like opal and quartz. have seen this beautiful material in bowls, vases, figurines, intarsia, relief, cabochons, bracelets, beads, and faceted stones. It really seems to have no limit other than its opaqueness and lack of high jadeite luminescence. 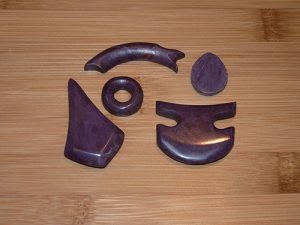 Turkish purple jade is hard to locate and varies in price, depending on the knowledge of the seller, but it is well worth your time to seek it out for your carving projects. I have found it on eBay, Etsy, and other online sources. The quality varies in terms of color and inclusions. My customers like the medium to dark purple with the mottled surface. Occasionally, you can find bold specks of green and orange, along with other delightful variations. Are you interested in learning more about Rock & Gem magazine including subscribing to this stunning and fascinating magazine? You can purchase a one-year subscription (12 issues) for just $29.95. That's a savings of 71% off the newsstand price. I find Turkish purple jade a wonderful material for carving into both simple cabochons and more intricate designs for jewelry. It is somewhere between 6 and 7 on the Mohs Scale of Hardness and responds well to diamond tools when plenty of water is used. Its structure allows it to easily be shaped into three-dimensional carvings without cracking or crumbling. The base colors run from gray-purple to rich, deep purple, with mottled variations in between. This variation of color, along with dots of deep green and streaks of red, provide an interesting canvas on which to expose the color patterns of the material. However, my favorite aspect of Turkish Purple Jade is its responsiveness in your hand when carving it and the excitement a customer has the first time they see and hold it. If it is priced fairly, they will be hard pressed to hand it back to you. Washed and dried slabs are marked with their designs using templates and an aluminum pencil. 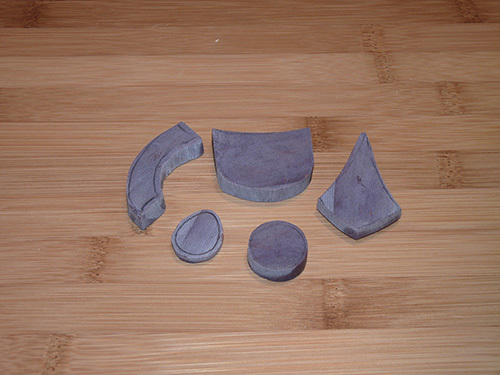 I slabbed, cabbed and carved one of my darker nodules of Turkish purple jade into five pieces for separate jewelry designs. The slabs were cut with a 16-inch Covington saw, using mineral oil as a coolant and a Barranca Diamond 301 saw blade. The trim sawing was accomplished with a 6-inch Diamond Pacific “The Wizard” saw and a Barranca Diamond 301 saw blade. To carve, I used a Diamond Pacific Genie, using Galaxy and Nova wheels, and a Nakanishi Espert 500, using Varenkor sintered diamond burs, along with silicon carbide blocks. I polished with cerium oxide on pads and by hand rubbing with 3M diamond paper. Faceting was done with the Ultra Tec V5. 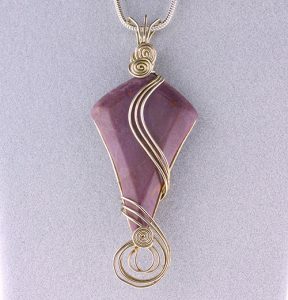 I select jewelry designs that take advantage of the diversity of options you have when using Turkish purple jade. I use a combination of cabbing, carving and faceting to bring out the beauty of the material. 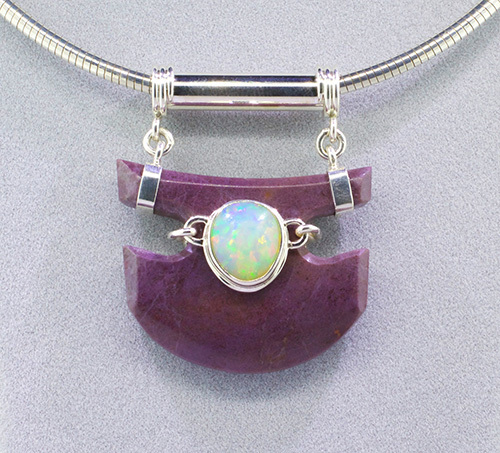 Opal and quartz are added to show how well Turkish purple jade plays with other stones. 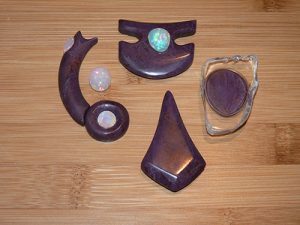 Knowing whether the stone is a jade or rock will defiantly matter to the collector of fine minerals and gemstones; however, I do not consider it an issue when carving and selling Turkish purple jade because of its unique color and performance under the hand of the lapidary artist. Identifying and explaining its story and composition is simply honest dealing. Its beauty allows this gemstone to become a favorite of both the carver and the customer. Mark Oros is the owner of Hashnu Stones & Gems. He sells rough stone, facets and carves and designs jewelry from fine gemstones with his friends Michael Rizzo and Ruth Rosenfeld. Friends Michael Rizzo, Ruth Rosenfeld, and Mark Oros facet, carve and design jewelry from fine gemstones. 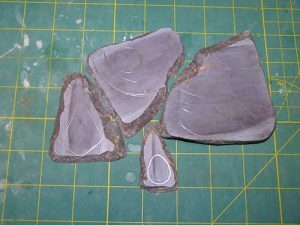 The pieces get trimmed and carved on the heels to a rough shape. 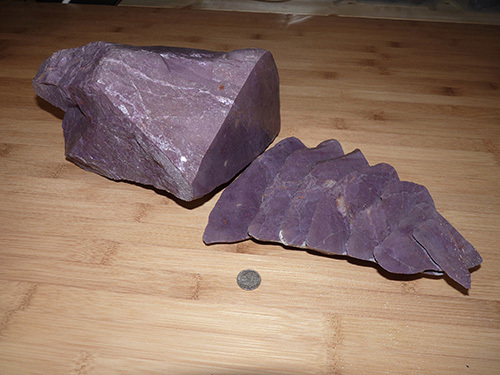 In 2013 and 2014, Hashnu Stones & Gems sold more Turkish purple jade, like the item pictured here, than any other stone.